Nitrogen and Oxygen Generator | Compresstech Resources, Inc.
Compresstech provides efficient solutions for your tasks that require a continuous supply of industrial gases. We offer nitrogen and oxygen generator that features advance technology and user-friendly features to ensure efficient and exceptional results. 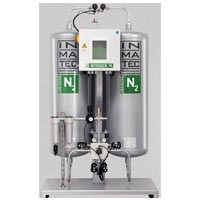 Check out Inmatec’s nitrogen and oxygen generator to know how it can be useful for you.